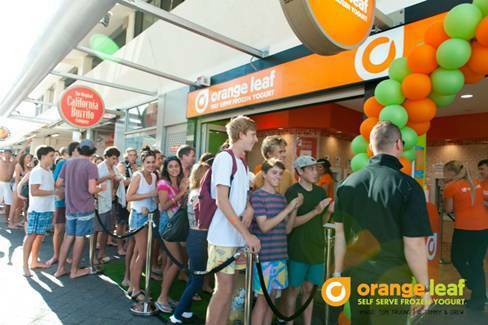 Frozen Yoghurt has become quite popular in Sydney, but have you tried Orange Leaf Frozen Yogurt at Bondi Beach yet? I hadn't yet heard of the franchise, so I wasn't sure how good it was going to be. 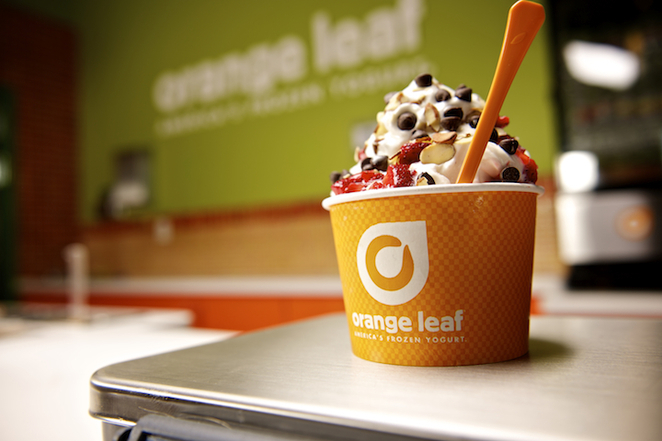 Was I in for a big surprise, Orange Leaf froyo is by far the best frozen yoghurt I have ever tried in Sydney. 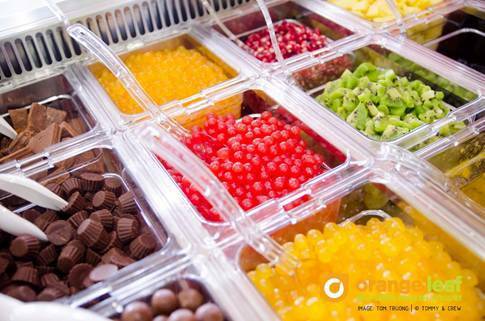 The yoghurts are only the start, next comes the delicious toppings, ranging from fresh fruits to granola to chocolates and lollies. It's actually self serve, so you walk up to the yoghurt machines and choose any combination and any amount you would like. The price is deemed by weight which is a great way to pay, it just depends on how much you want to eat. I chose a blend of pomegranate, coconut, and original flavour frozen yoghurt with a fresh pomegranate topping. What a divine combination, I truly enjoyed every bit of my froyo. The next fun part was meeting the owner Yahya. 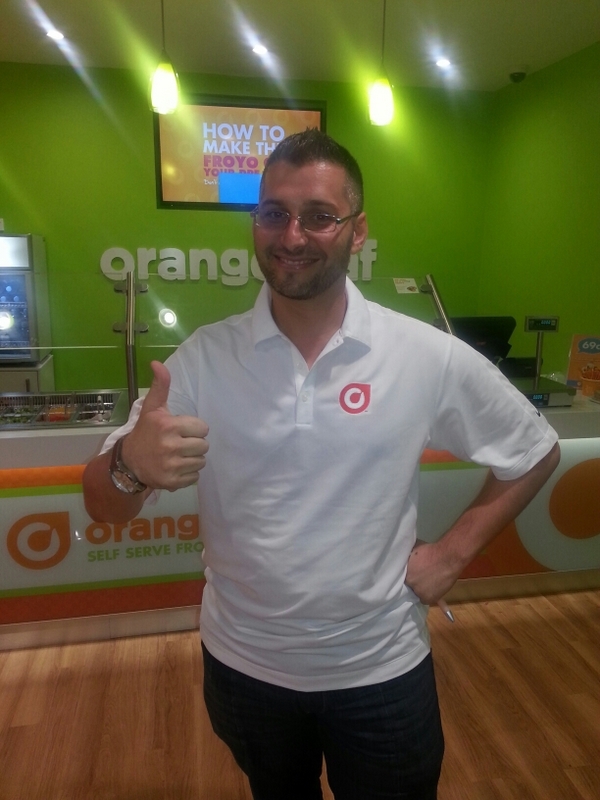 I found out that Orange Leaf originated in the Midwest of America and Yahya just came back from several weeks in Chicago and Oklahoma where he learned the intricacies of working with Orange Leaf Frozen Yogurt. Yahya was so friendly and courteous, it was great fun to learn about frozen yoghurt from him. 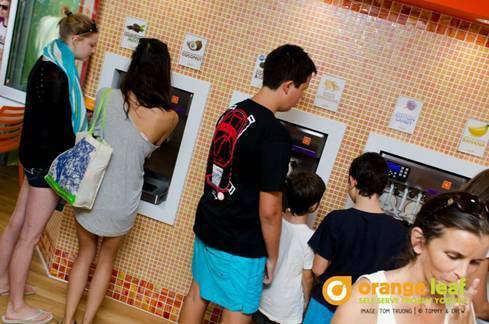 What makes Orange Leaf better than many of the competitors I've tried that have is that they have customised machines and unique recipes that make the yoghurt taste richer and creamier than other frozen yoghurts on the market. They also use real yoghurt, and the frozen yoghurt is made fresh everyday with many gluten free options, which is always a plus for a gluten free girl like myself. 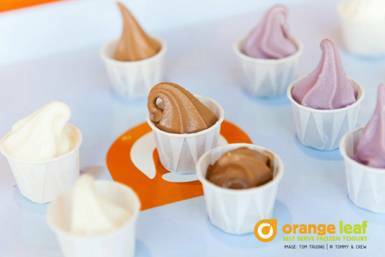 So if you have a hankering for frozen yoghurt make sure to check out Orange Leaf Bondi Junction, you won't be disappointed. Not only will you taste the best frozen yoghurt in Sydney, you'll have ocean views on top of that. What more could you ask for?